Black and white photography relies heavily on dodging and burning to add emphasis to certain parts of the image, to balance or contrast areas of tone, and improve the overall composition – and Silver Efex Pro’s control points let you do this in moments, without masks or selections. You don’t always need them. Silver Efex Pro’s edge burning tools, vignettes and other options mean that you can create great black and white imagery without localised manual adjustments. But when you do need them, you’ve got Nik Software’s control points. You click on the image to add a control point, drag one slider to adjust its size and others to control the area of the image underneath it. Although the area covered by a control point is circular, the area within is masked automatically, so that only the tones corresponding to those directly under the control point are selected for adjustment. My only minor complaint is that I don’t think these control points work quite so well on black and white images – in Viveza, Snapseed and Color Efex Pro, they’re used on colour images, and I think this makes the automatic masking process more effective. In black and white, you often get ‘spillage’ into surrounding areas. Anyway, this is a good image for showing how they work. 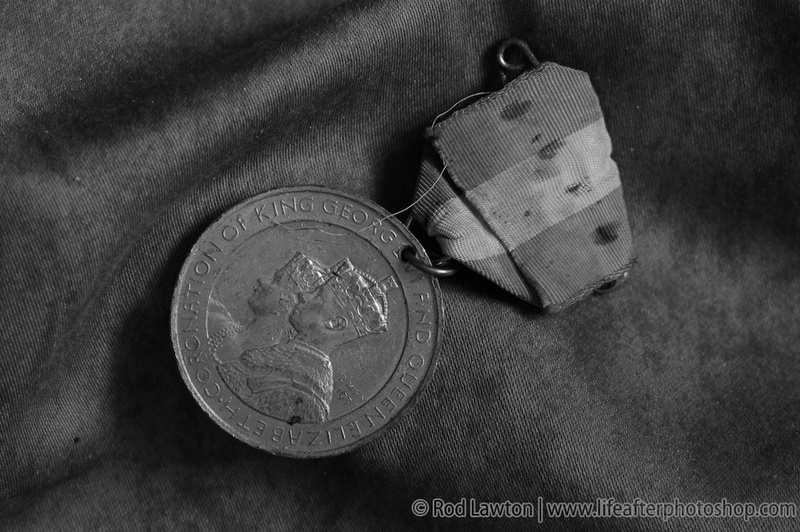 This close-up of a coronation medal lacks detail and contrast, and I can put that right with just a few simple adjustments. First, open the Selective Adjustments panel in the tools panel on the right, then click on the Add Control Point button (1). 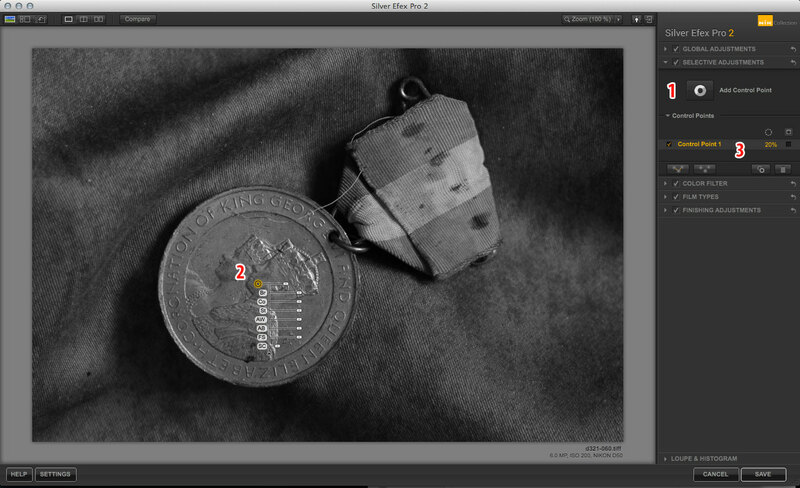 Now click on the image where you want to add the control point – I’ve chosen the centre of the medal (2). Over in the Selective Adjustments panel on the right, you’ll see the new control point listed (3). When you select a control point, you see a list of possible adjustments displayed on a drop-down gadget. I’m going to increase the Contrast value by dragging its control button to the right. The contrast increase has had an effect, but it doesn’t seem to cover the whole medal. To change the size, I need to drag the top-most control – as you do, the radius of the control point is shown as a circle. I’ve made this slightly larger than the medal. Hello, I have just discovered your site and am very impressed. Thanks for all your hard work. I will return here often. I was looking for the answer to a question when I found your site and maybe you can help. In my version when i add a control point there are only 3 choices in the drop-down. In images I have seen on the web, there are I believe seven items in the dropdown. Is there a way to toggle between them? Is it because I have an older version (spring 2013)? Hi Scott. If you take a look at the list of three choices you should see a small arrow at the bottom. When you click this, the extra choices should be revealed.